But what does it all MEAN?!? 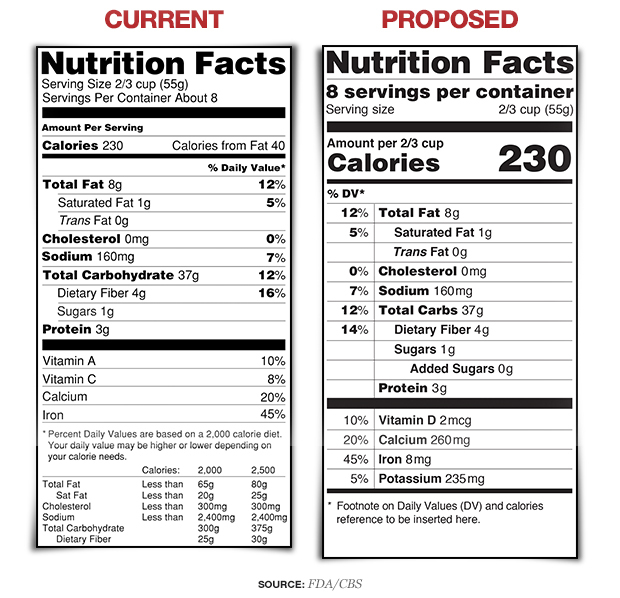 The Food and Drug Administration has finally confirmed a move supported by Michelle Obama and many other health advocates: a redesign of nutritional labels to emphasize honesty over obfuscation. ICYMI, this comes less than a month after a study finding that excessive sugar consumption can double the risk of heart disease…and that most Americans eat far more of it than we’re supposed to. Of course, many will predictably call it another example of government overreach, and major food brands will worry about how it might affect their reputations and their bottom lines. Our spin: this will be great for those brands whose products don’t contain any added sweeteners: you know, foodstuffs that aren’t actively unhealthy. Remember this “organic food snarks on meaningless ‘all-natural’ label” story? Yeah. The move will also require certain big-name producers to be a little more transparent about what their products do—which could of course lead to big challenges on the reputation front.